PaulStephen Dempsey is Tomlinson Professor of Global Governance in Air & SpaceLaw and Director of the Institute of Air & Space Law at McGill University,in Montreal, Canada. For more than two decades, he held the chair as Professorof Transportation Law, and was Director of the Transportation Law Program atthe University of Denver. 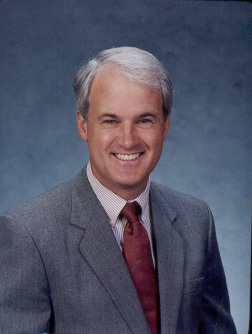 Dr.Dempsey holds the following degrees: Bachelor of Arts, Juris Doctor, Universityof Georgia; Master of Laws, George Washington University; Doctor of Civil Laws,McGill University. Hecurrently serves on the EditorialBoard of the German Journal of Air & Space Law, and is Editor-in-Chiefof the Annals of Air & Space Law. He is President of the International Air& Space Law Academy, and vice-Chair of the Aviation Section of theTransportation Lawyers Association. ProfessorDempsey has published more than two dozen books, 100 law review and academicjournal articles, and scores of newspaper and news magazine editorials. Copyright 2015 © by Xiamen Academy of International Law. All Rights Reserved.